We are a leading 100% Export Oriented Unit of incense stick set of 12 box, lavender & nag champa incense sticks agarbatti with holder, incense sticks agarbatti, lavender natural incense sticks, nag champa 120 incense stick agarbatti and handmade sandalwood incense sticks from Jaipur, India. 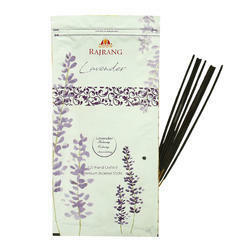 Description :This incense is handcrafted in India, hand rolled from the finest ingredients. The product encompasses 12 flavors and each flavor contains 20 sticks. Enjoy comforting, subtle, and relaxing fragrances of your choice in the comfort of your home, with incense sticks from our variety. •Aromatherapy, Reiki, Spa, Healing and as Room Freshener for beautiful lasting fragrance. 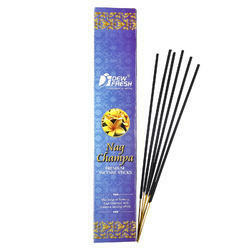 Description This incense is handcrafted in India, hand rolled from the finest ingredients. The product encompasses 120 sticks of a single flavor.Enjoy comforting, subtle, and relaxing fragrance of your lavender in the comfort of your home. -Aromatherapy, Reiki, Spa, Healing and as Room Freshener for beautiful lasting fragrance.